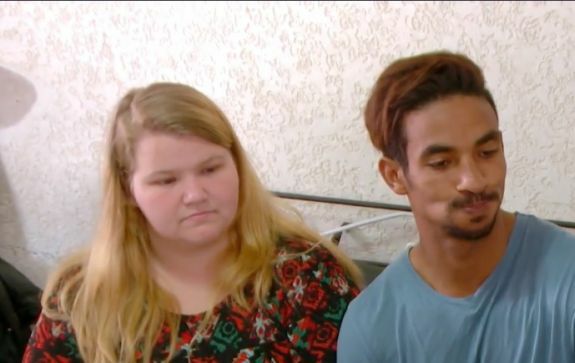 It looks like there will be no “90 Day Fiance” wedding for Nicole Nafziger and Azan Tefou any time soon… at least, not in the United States. According to “90 Day Fiance” blogger John Yates, the geographically challenged sorta-lovebirds recently faced another setback in their relationship. “Just heard from a source that Azan was allegedly denied his visa for the umpteenth time,” John tweeted last week. He also claims that the denial of Azan’s K1 visa has caused some problems for the show’s producers, who are reportedly working with the couple for an appearance on one of the “90 Day Fiance” franchise shows. “We noticed in the casting process there were Americans who said, ‘I’m going to forego my lifestyle, my family, my culture, my country to be with this person.’ There have been little bits of this in other shows,” he said. “Viewers will be able to see what it’s like when love flows in the opposite direction as we follow couples where the American moves across the globe to be with the person they love,” TLC’s website states. 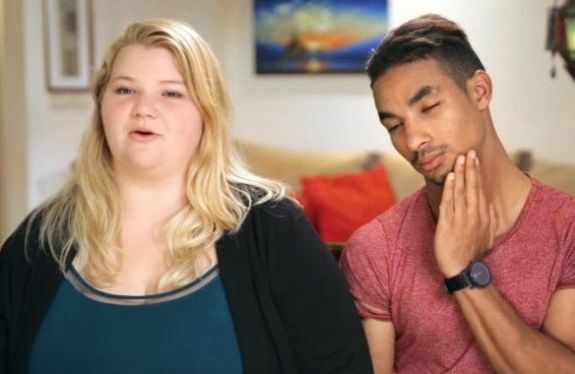 As “90 Day Fiance” fans know, Azan and Nicole are no strangers to denied visas. While filming “90 Day Fiance: Happily Ever After?” Season 3 last year, the couple was preparing to get married in Morocco when Azan’s visa was denied. However, they didn’t end up going through with the wedding. Nicole spent six months in Morocco prior to the scheduled wedding. Joe said things weren’t over between the two, though. Nicole has said in the past that she would be willing to move herself and her daughter May to Morocco to live with Azan if that’s what it takes for her to marry Azan. Although she did not directly address the report that Azan’s visa had been denied, Nicole did admit on social media over the weekend that she was struggling. Last month, she squashed rumors that she and Azan had split by posting a mushy message to him on Instagram. TLC has not yet announced who will be starring on “90 Day Fiance: The Other Way,” or when the spin-off will premiere. Nicole is so desperate to marry this guy that it’s sad. What about poor little May? She needs her mom. Nicole, read all of our lips. He doesn’t want you! Didn’t I say the 6th I was to go toward her wedding dress? I can’t remember what exactly. I just downvote myself, because my previous post messed up. I was going to say that I think I remember that the 6k was just for the wedding dress. Wasn’t he telling her at one point that his family was out $6,000 for the wedding, so…dot dot dot implying she owed them. Then he had the store idea for how much exactly? Quick, someone find out what costs 6k that he is so anxious to have…maybe it’s a dowry for a slender, young, Moroccan lady! Can anyone find out info on the “store” or “new business” Azan used all of Nicoles for? We all know it never existed, just curious what excuse they use. Of course his visa was denied, the US government and everyone else on Earth clearly sees what Nicole doesn’t want to see. Its obvious that he doesn’t want to be with her. I don’t know how many more signs the universe can slap this girl in the face with before she realizes that he is a scumbag. At this point, she should just go ahead to Morocco and learn the hard way…I just hope if she does make that decision that she signs her parental rights over to her mom, because this dummy would drag May all the way across the world to be with a lyin hustla. He has no job and she has no money. What happened to the “store”??? She doesn’t know the language how is she going to survive? Poor May. Morocco is not an easy place without money. Blind Freddy can see he’s ripping Nicole off and sabotaging his Visa process. Earth to Nicole…… give it up. He’s bad news that’s why Uncle Sam won’t let him in the U.S.